Animated comedy featuring the voice talents of T.J. Miller, James Corden and Anna Faris. 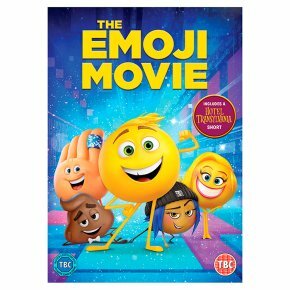 Set in Textopolis, the world inside your smartphone, emoji Gene (Miller) realises that he has many more emotions to express than just his preset 'meh'. When set to work on human Alex (Jake T. Austin)'s phone, Gene panics and accidentally pulls an incorrect face on a message to Alex's girlfriend. Cast out by his fellow emojis, Gene seeks the help of his good friend Hi-5 (Corden) to make him normal.